Provide comfort for the family of Lewis L. Bowker, Jr. with a meaningful gesture of sympathy. 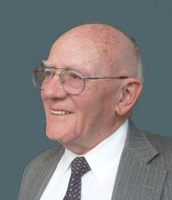 Lewis Lyman Bowker, Jr., 87, long-time Maynard resident, retired Land Surveyor and Town Engineer for the Town of Wayland, MA, and devoted husband, died unexpectedly March 27, 2019 in Boston. Born in Framingham and raised in Shrewsbury, he was the son of the late Lewis L. and Elizabeth (Morse) Bowker. Mr. Bowker served honorably as a Corporal in the US Army during the Korean War, graduated college with a degree in forestry, and became a registered Land Surveyor. 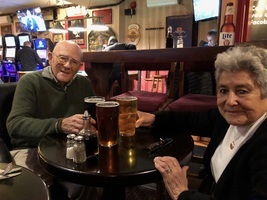 He met his wife Alicia (Verver) Bowker while vacationing in Mexico, and after a brief courtship they were happily married for over 63 years. The Bowkers resided in Latham, NY for a time before moving to Acton, then to Maynard, MA in 1962. Mr. Bowker served as an Assistant Town Engineer for the Town of Acton before becoming the Town Engineer/Town Surveyor in Wayland, where he worked for 33 years before retiring. 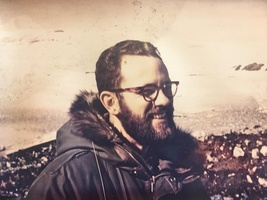 His efforts contributed to significant open space conservation in the Sudbury River Valley, and he initiated one of the first municipal Geographic Information Systems in Massachusetts. He enjoyed fishing, kayaking, vacationing on Cape Cod and in Mexico, and Maynard Area Auto Club activities. He most cherished time with his family and especially in later years being an active and involved grandfather to his eight grandchildren: Lee and Kate Flaherty, Noah and Claire Lucyk, Emma Atkinson, Sasha and Nick Wey and Maya Bowker. 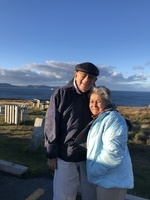 Mr. Bowker was predeceased by his beloved daughter, Brenda Flaherty, and brother Robert Bowker. In addition to his wife Alicia, he is survived by their children: Malaina Bowker of Acton, Amanda Bowker and husband Tim Atkinson of Seattle, WA, Lewis L. Bowker III and wife Jenya Grinblat of Madison, WI; son-in-law Jack Flaherty of Acton, and son-in-law Martin Lucyk of Maynard; 8 grandchildren; sister Glenis Eden-Kilgour of Princeton, MA. We encourage you to share your most beloved memories of Lewis L. here, so that the family and other loved ones can always see it. You can upload cherished photographs, or share your favorite stories, and can even comment on those shared by others. 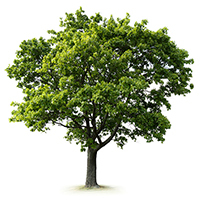 Plant a Tree in Memory of Lewis L.
1 tree has been planted in memory of Lewis L. Bowker, Jr.
To our dear friend Alicia, to my long ago still cherished student Lee, and to the whole Bowker family, with love. We will remember Lew as a kind and lovely man.